The new upland tract is located at the southeastern end of the Refuge adjacent to the Dore Seep Nature Preserve. Visitors can access the Sandy Hollow parking lot and orientation kiosk off Route 26 approximately 1.5 miles south of the main Refuge entrance. Watch for the large road sign on the west side of the road. Hikers can also access Sandy Hollow from the main Refuge via a trail connection near the end of the popular one-mile Seep Trail. View a Refuge trail map here. A view in April 2017 of the savanna at Sandy Hollow where the pavilion will be constructed, overlooking the prairie-in-restoration. Photo by Gary Sullivan/TWI. Leased for farming by its previous owner, Sandy Hollow was mostly covered by soybean fields when TWI learned of the opportunity to purchase it. Generous support from the Grand Victoria Foundation, the Illinois Clean Energy Community Foundation, and the Oberweiler Foundation made the acquisition possible, as well as project financing from The Conservation Fund. Acquiring Sandy Hollow expanded the Dixon Refuge to more than 3,000 acres in size and provided an upland buffer to protect the Refuge’s sensitive and rare seep wetland habitat. Over the past two and a half years, TWI’s Refuge site managers and field restoration crew have planted dozens of species of native plants, trees, and shrubs at Sandy Hollow. They’ve also controlled invasive plant species, conducted prescribed burns, and thinned weedy trees in the savanna zones to reestablish appropriate habitat conditions. Volunteers helped the restoration progress by planting seedlings in spring and collecting native seed from other parts of the Refuge in fall to be planted at Sandy Hollow over the winter. In 2017, TWI also began planting “monarch hotspots” at Sandy Hollow to cultivate several species of milkweed, the monarch caterpillar’s only food; this effort is part of a broader project funded by a Monarch Butterfly Conservation Fund grant from the National Fish and Wildlife Foundation. All of these efforts are bringing back healthy native habitats, including globally imperiled sand savanna and sand prairie. Very few examples of these unique sand habitats remain anywhere in Illinois. A detailed map of the new Sandy Hollow trail system, which opens to the public on June 15, 2018. The trail system, named the Steven and Ann Meeker Ryan Trail in recognition of major supporters of the Dixon Refuge, consists of two main loops that form a figure-8 with smaller side trails. In all, visitors can hike 2.7 miles through eight distinct native habitats at Sandy Hollow. Eight-Oak Loop (the northern loop) is named for the eight species of oaks found along the trail system at Sandy Hollow. Oaks are a critical species in the ecosystem, forming the architecture of healthy savanna and supporting a huge diversity of insects, birds, and wildlife. Cuckoo Creek Loop (the southern loop) leads visitors through a beautiful bottomland forest with huge sycamore trees and along the intermittent stream that TWI calls Cuckoo Creek because secretive Yellow-billed Cuckoos can be heard and seen there. This loop also connects with the popular one-mile Seep Trail, providing access to the Refuge's Dore Seep and seep boardwalk. A Woodland Overlook side trail off Eight-Oak Loop will offer great views of spring wildflowers and potential sighting of colorful songbirds like Scarlet Tanager, Wood Thrush, and Rose-breasted Grosbeak in summer. 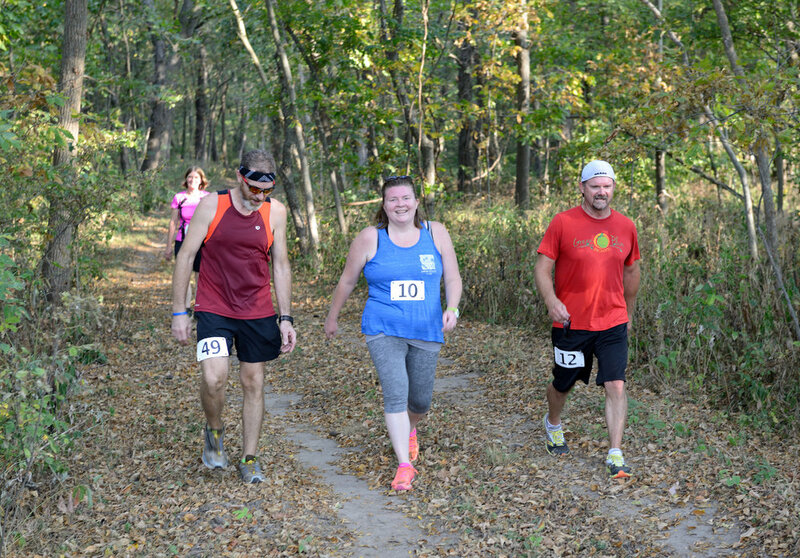 Those who took part in TWI’s Dixon Refuge Dash in September 2017, a 5K run/walk along the Sandy Hollow trails, got a sneak peek of the varied habitats visitors will view. Interpretive signs along the trails will provide information about the distinct habitat types at Sandy Hollow and feature the plants, birds, and wildlife that hikers may encounter during their visit. "The Dixon Refuge Dash last fall was a great way to get to know the Dixon Waterfowl Refuge's new Sandy Hollow area. I was surprised at how large the new area is and how diverse the habitats, from prairie to forest," said Yona Lunken, a Lake Thunderbird resident. "My family and I love walking at the Refuge, and there is MORE to enjoy!" Participants in TWI's Dixon Refuge Dash in September 2017 got a sneak peek of the habitats and new trails at Sandy Hollow. Photo by Gary Sullivan/TWI. An open-sided, naturalistic pavilion currently under construction will be situated atop a small hill at the edge of restored savanna and look out over a large area of sand prairie and mesic prairie that is being restored. The overlook will be known as the Pyott Pavilion in honor of TWI co-founder Al Pyott and his conservation legacy. While the wooded areas of Sandy Hollow provided lots of wildlife habitat prior to TWI’s acquisition, our prairie and savanna restoration efforts on the rest of the tract have attracted new residents just in the past two years. In 2015, TWI was awarded a federal Neotropical Migratory Bird Conservation Act grant for the project because of the restoration’s expected benefit for birds. Birds won’t be the only attraction at Sandy Hollow: Butterflies, snakes, lizards, tiger beetles, and small mammals are all finding a home there. During TWI’s second-ever BioBlitz, set for August 4, 2018, Sandy Hollow will be one of the Refuge areas that volunteer teams will search to catalog the living things that occupy it. The Sandy Hollow area of the Refuge officially opens to the public on June 15, 2018. 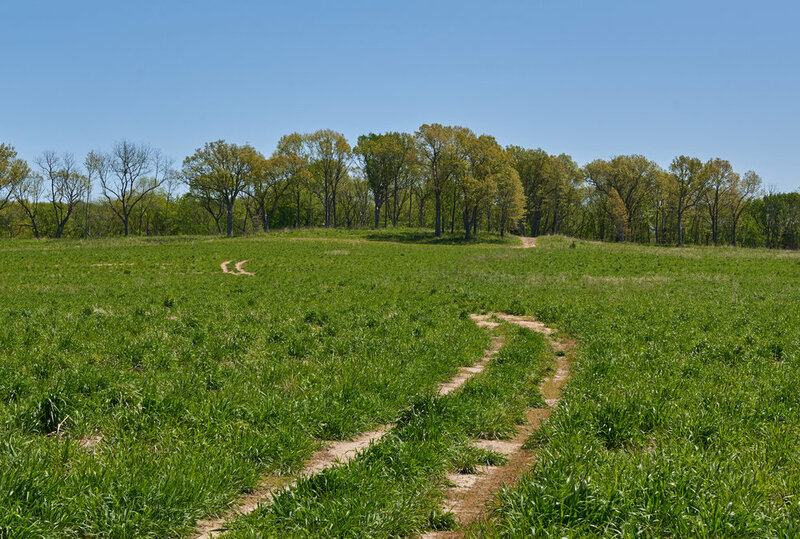 Plan to make a visit this summer to explore its distinct upland habitats and experience some of the Illinois River Valley’s natural heritage!